SUNY Optometry’s Clinical Vision Research Center (CVRC) has received a Performance and Quality Award from the Pediatric Eye Disease Investigator Group (PEDIG) for having the highest patient volume and an outstanding quality index. PEDIG is a collaborative network dedicated to facilitating multicenter clinical research in strabismus, amblyopia and other eye disorders that affect children. The network formed in 1997 and is funded by the National Eye Institute. 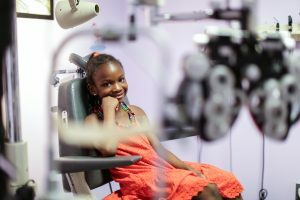 There are more than 100 participating sites with 300+ pediatric ophthalmologists and pediatric optometrists in the United States, Canada and the United Kingdom participating in the network. The CVRC streamlines the process of government-, foundation- and industry-sponsored clinical research by serving as a single point of contact between sponsors and SUNY Optometry. Congratulations to principal investigator Dr. Marilyn Vricella, sub-investigators Dr. Christine Chen, Dr. Rochelle Mozlin, Dr. Daniella Rutner and Dr. Erica Schulman, and coordinators Ms. Krystle Kang and Ms. Valerie Leung.